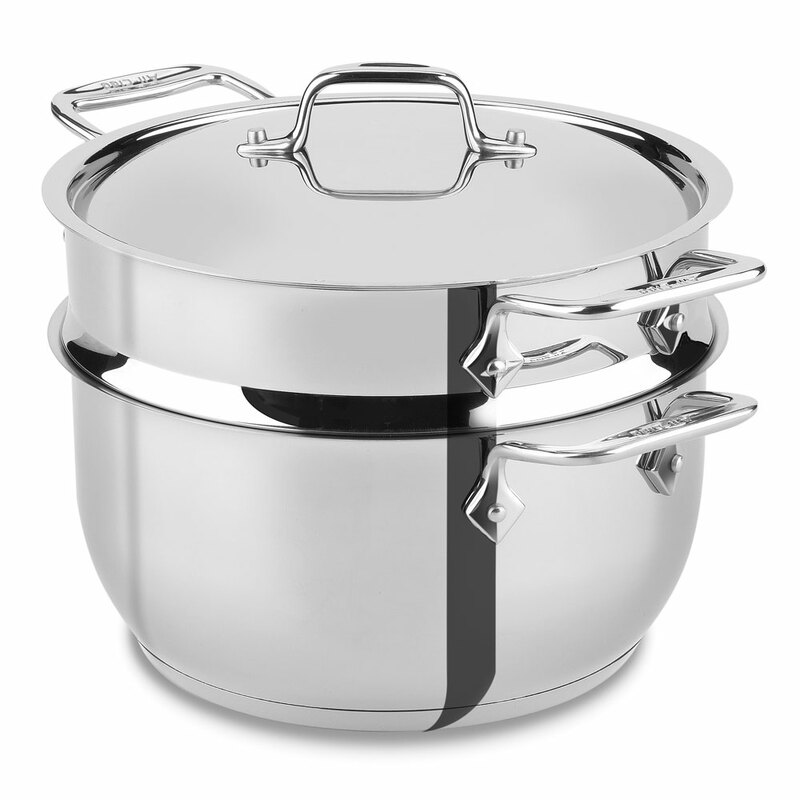 The All-Clad Stainless Steel Steaming Pot is an essential piece for health conscious cooks. Add fresh vegetables or seafood to the insert and quickly prepare delicious and flavorful meals. 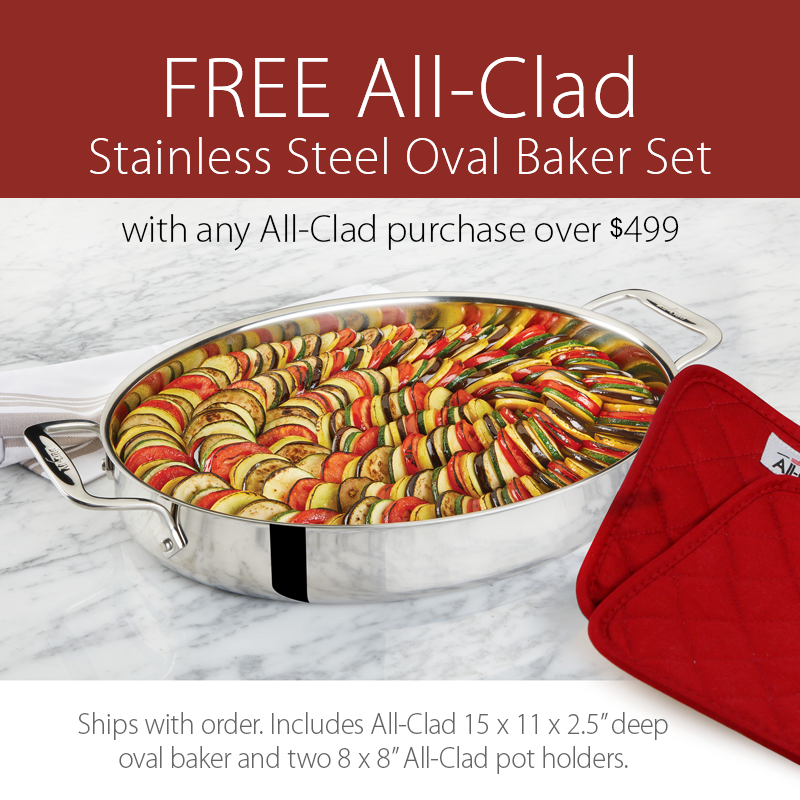 Features All-Clad's high quality, heavy gauge polished stainless steel that's easy to clean and won't react to food. Includes integrated, large loop handles for easy and secure use. Lifetime warranty, dishwasher safe. https://www.cutleryandmore.com/all-clad/stainless-steel-steaming-pot-p129608 29608 All-Clad 5-quart Stainless Steel Steaming Pot https://cdn.cutleryandmore.com/products/large/29608.jpg 99.9500 USD InStock /Cookware/Soup & Stock Pots The All-Clad Stainless Steel Steaming Pot is an essential piece for health conscious cooks. Add fresh vegetables or seafood to the insert and quickly prepare delicious and flavorful meals. 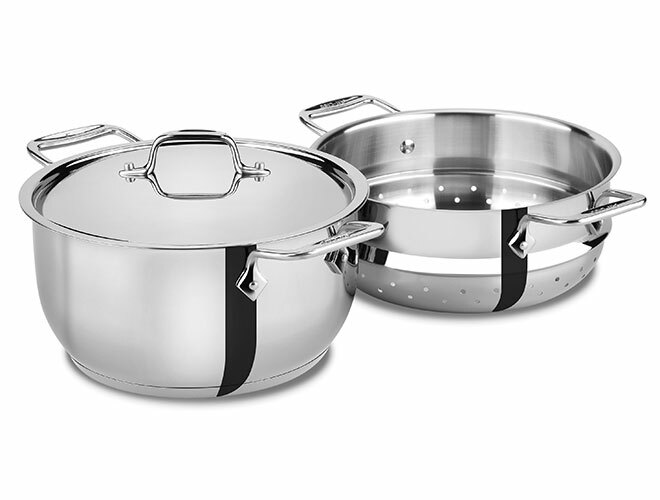 Features All-Clad's high quality, heavy gauge polished stainless steel that's easy to clean and won't react to food. Includes integrated, large loop handles for easy and secure use. Lifetime warranty, dishwasher safe.